November is a busy month for the illustration work I do (more on that soon) but I’m also looking forward to emerging from my drawing cave to show my work and sell prints, stationary and homewares at two festival fairs. Humble by Nature is hosting an exhibition of local artists in the Long Barn at the farm. All the artists have a strong connection with the farm, either living, working or teaching there. The artists include Sarah Edmonds, Beca Beeby, Amanda Rayner, Farmer Tim Stephens and Leigh Griffiths. Find out more about the artists here. The artists work in a variety of media based on the natural world. Whether it’s wood, willow, cast iron or prints inspired by nature, the exhibition will encourage viewers to reconnect with their environment. Visitors will be encouraged to touch the exhibits and feel the beauty of the natural materials as well as appreciate their visual aesthetic. The exhibition will be on display for course and event attendees at the farm. It is open to the public for the Open Evening event on Friday 22nd November from 7pm until 9pm. For more details please call 01600 714595 or emailinfo@humblebynature.com. 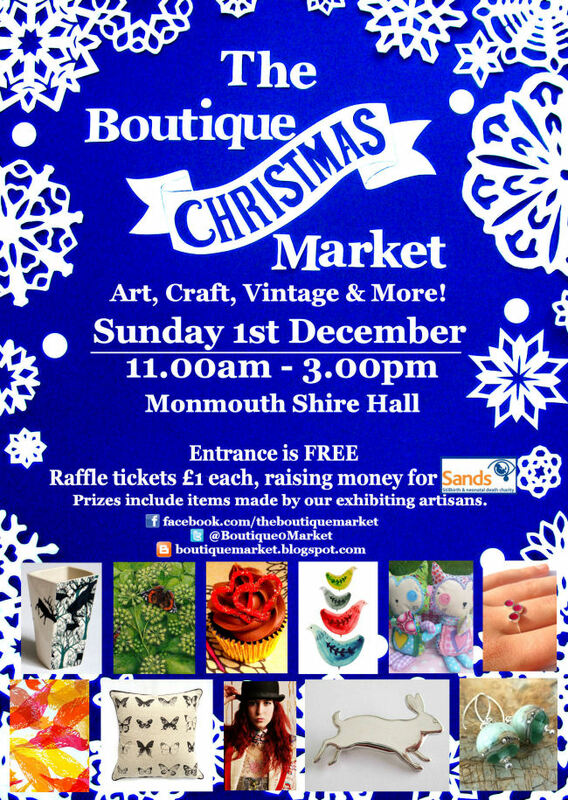 I’ll also be having stalls at the following seasonal markets, in Cardiff and Monmouth. I’ll be launching some new stationary products, bags and prints (previews coming next week). Accompanying me to both events will be the wonderful Catkin Boutique, run by my talented school friend Nicola Barter. click here to visit the Facebook page for more information about the event. 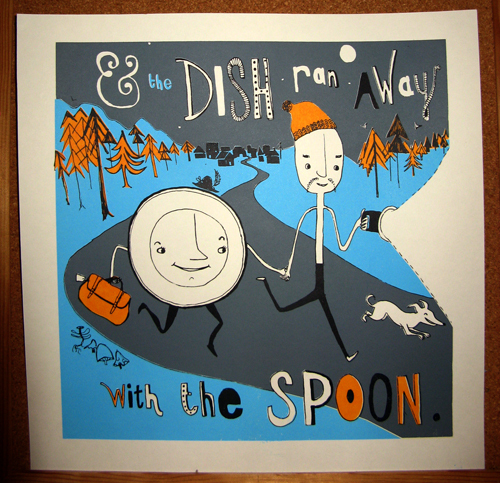 I’m donating a Dish and Spoon screen print to the raffle in support of fantastic charity Sands. 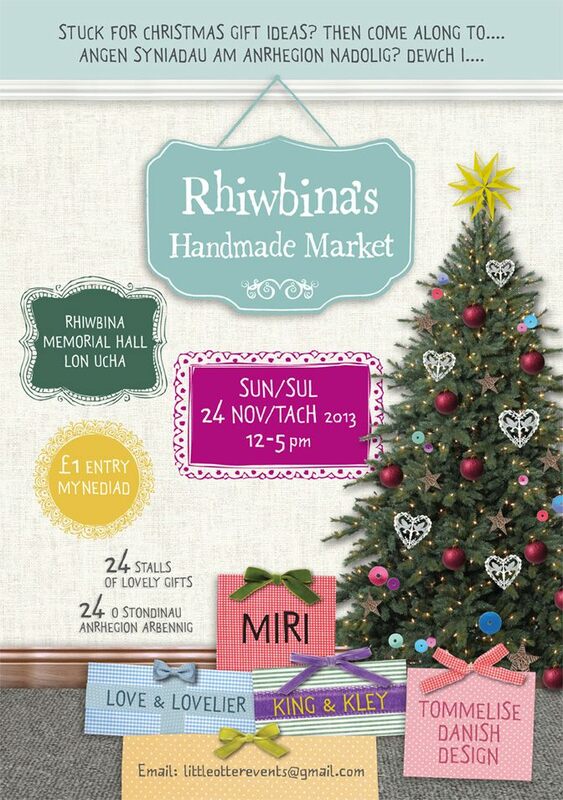 Also heading to this market is The Welsh Gift Shop, do check them out! click here to visit The Boutique Market ‘s Facebook page for more information. Last weekend was the end of an era. My parents gave up the keys to their farm – on which I spent my whole childhood getting muddy, learning how to look after new lambs, exploring for hours on end the fields, barns and woodland. 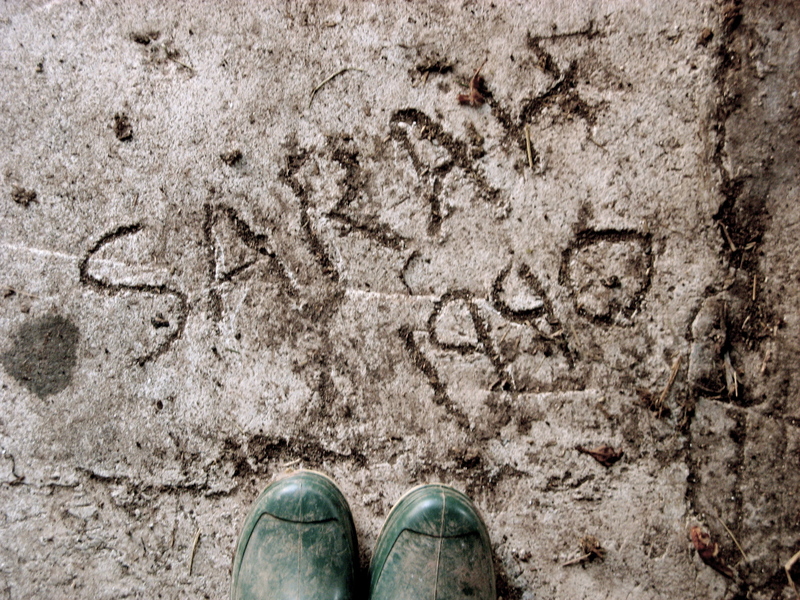 While walking from empty shed to open field in a methodical tribute to the place, I came across my name written in the ground. I can’t remember writing this – but this proves. I was there, I existed, a four year old making her mark in the wet cement. What story would a graphologist draw from this writing? Definite capitals letters spelling certainty, a child asserting her identity? For handwriting is a most personal thing, and it can make someone’s day in the form of a scribbled note on the fridge or a long letter, words tumbling from pen to page straight from the heart or mind. I now have several friends I communicate with more through letters than modern technology. A postcard from Borneo, a printed card and a recipe arrived for me in the last fortnight – you get out of correspondence what you put in. Why not send a letter or a postcard today? Receiving a piece of hand crafted post is always a delight, against the cold bills, forms and junk mail that flood the hallway. Send something, and you’ll more than likely receive something in return. This is an idea you might like to try. My friend Alex and I are having a little conversation through the post through swapping recipes. So far they’ve been written in small, handmade books: below is what I’ll be sending off tomorrow. 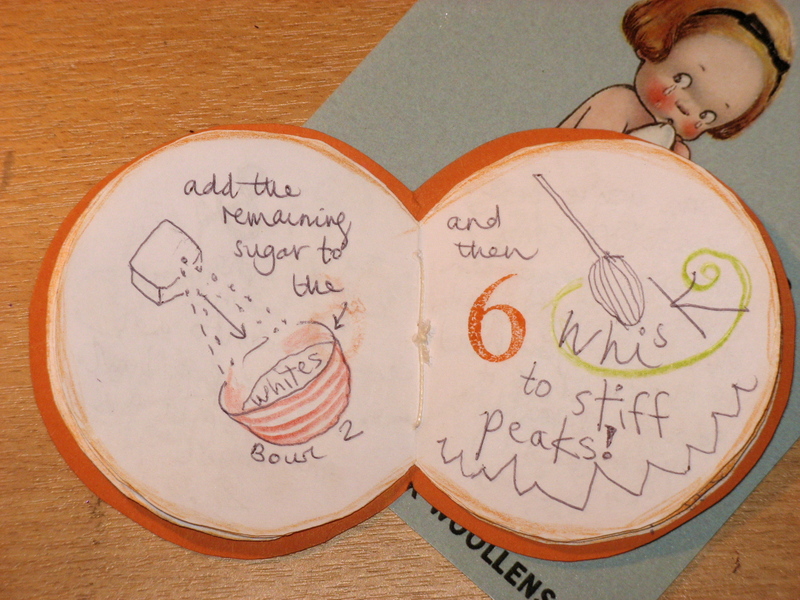 A recipe for delicious orange cake in a circular stitched pamphlet. It’s a simple book to make using a three hole pamphlet stitch. 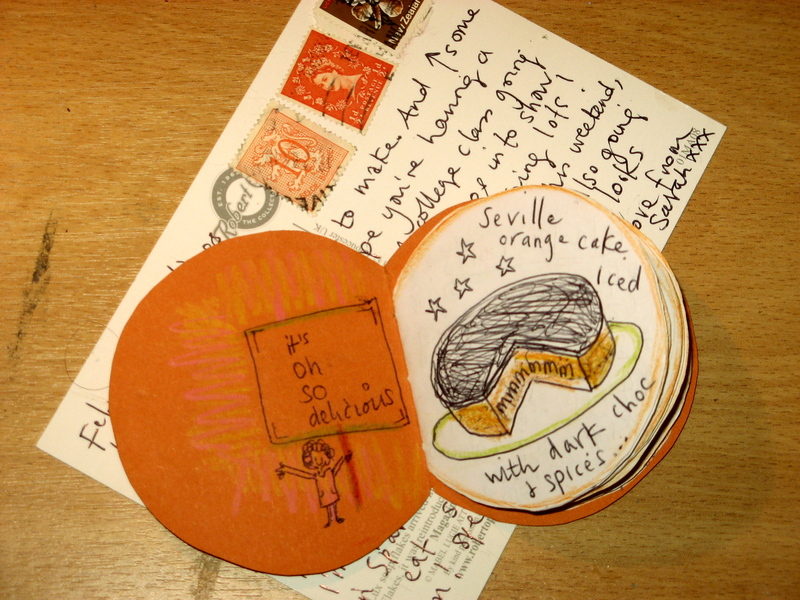 There’s also a postcard to go with it, a brief hello, hurrah and how are you to make contact… You could swap crafts, pictures, recommendations, tips, advice, maps, stories – collaboration and correspondence often conjure some brilliant ideas! All images, prints and illustrations on this blog are copyright © Sarah Edmonds 2013 unless credited otherwise. Please contact me first if you'd like to use an image!